The maximum fine for speeding is currently £1,000. The maximum penalty rises to £2,500 if you are caught speeding on a motorway. The current minimum fine for speeding is £100 and three points on your driving licence. Plus, if your speeding fine is the being added to a clean licence the police often give you the option of attending a speed awareness course instead of enforcing the fine and penalty points. If you do not have a clean licence at the time of the offence the police do not offer the police awareness course as an option. When you are issued a speeding fine each speeding offence is known by a certain code. The code for speeding above the speed limit will be either SP10, SP20, SP30, SP40 or SP50. The code for your speeding fine will be SP10 if you were driving a goods vehicle under 7.5 tonnes. Such vehicles are small lorries. In some circumstance this also includes motorhomes and caravans. SP20 is not a code used very often. Vehicles affected include tractors and other industrial vehicles. SP30 is the most common speeding code you will come across in the UK. This refers to cars, vans, motorbikes, etc. which are caught speeding at the signposted speed limit for the road. Some passenger vehicles which are larger than cars are subject to different speed limits on UK roads. Such passenger vehicles may include buses, coaches, etc. These vehicles speeding fine code will be SP40. The speed limit on most motorways is 70MPH and if you are caught speeding on a motorway the code used by the police on your speeding ticket will be SP50. Some motorways have variable speed cameras and therefore enforce a lower speed limit than 70MPH. Furthermore, some vehicles will be required to drive at a different maximum speed such as goods vehicles over 7.5 tonnes and cars towing a caravan. You can protect your licence using a device that tells you all of the speed limits of all roads across the UK. The most comprehensive device is by Snooper called the Snooper MY-SPEED XL. The My Speed XL displays on screen the road speed limit of every road in across Europe as well as your speed. If you are speeding there will be a red circle around your speed and if you are below the speed limit the speed readout on screen will feature a green circle around it. You will also receive audible warnings if you are driving above the speed limit. This Snooper is also a speed camera detector but it is only GPS and there is no radar or laser technology for detecting mobile speed camera locations. If you want a device to warn to speed cameras but do not require speed limits for all roads then the Snooper 4ZERO Elite BT will detect all speed cameras using GPS, radar and laser technology. Likewise the Cheetah c550 will warn to all speed cameras but does not include radar or laser detection capabilities. 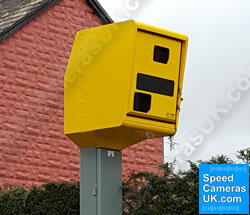 Visit our shop to read more about speed limit warning devices and speed camera detectors.